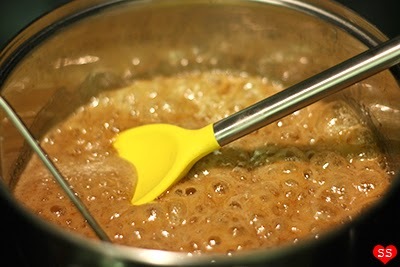 Place the coffee, sugar, and corn syrup in a large saucepan. Heat over medium-low heat until all the sugar is dissolved. When the mixture begins to boil and turn clear, increase the heat to medium-high, cooking until it reaches 290°F. 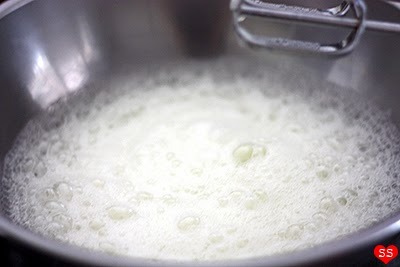 Remove the pan from the heat and stir in the baking soda; it will foam up. 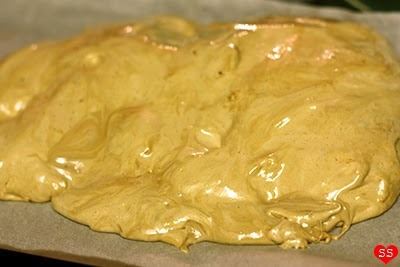 Pour onto the parchment lined baking sheet and let it cool (at least 1 hour). Place the candy into a freezer bag and roll over it with a rolling pin to crush it into small pieces. Keep in an airtight container until ready to use. Preheat oven to 350°F. 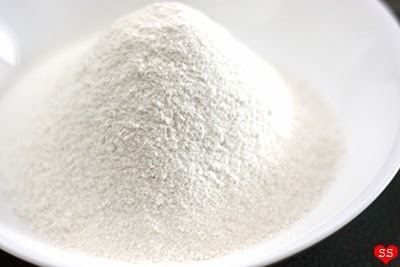 Sift the flour, 3/4 cup sugar, and salt into a bowl and set aside for now. 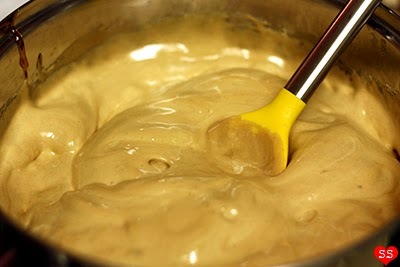 In a separate mixing bowl, beat the egg yolks and 1/4 cup sugar with an electric mixer until it is thick and pale. Add the water and beat until thickened (about 4 minutes). 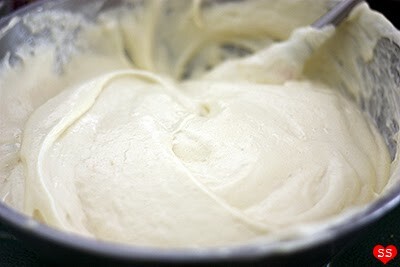 In another mixing bowl, use the mixer to beat the egg whites until frothy. 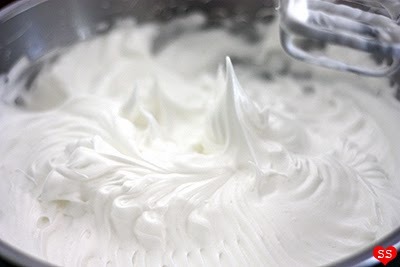 Add the cream of tartar to the egg whites and mix until soft peaks form. 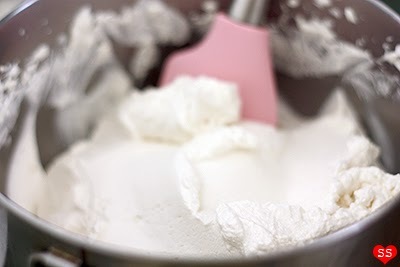 In a steady stream, mix in the remaining 1/2 cup sugar, until stiff peaks form (2-3 minutes). 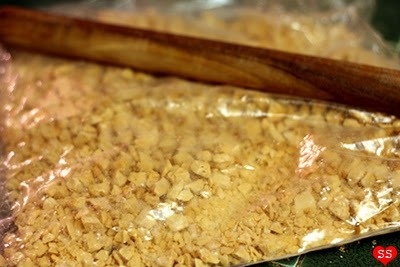 Mix in the vanilla extract, lemon juice, and lemon zest. Fold the yolk mixture into this mixture. Then fold in 1/3 of the flour mixture from earlier. Repeat two more times with the flour mixture until everything is just combined. Pour the cake batter into two 8-inch round cake pans sprayed with nonstick sprayed and lined with parchment paper on the bottoms. Smooth out the tops with a spatula. Bake for 45-55 minutes, or until the tops are golden and spring back when touched. 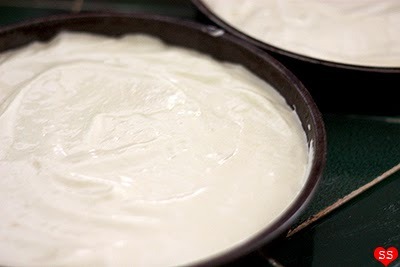 Let cool for 5-10 minutes in the pan, then transfer the cakes to cooling racks to finish cooling. 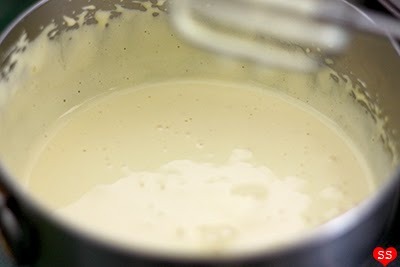 Combine the whipping cream, sugar, and vanilla extract in a large mixing bowl. Whisk until soft peaks form. Slice the cooled cakes into 2 round layers each. Place one layer on a large plate. Spread whipping cream on top. 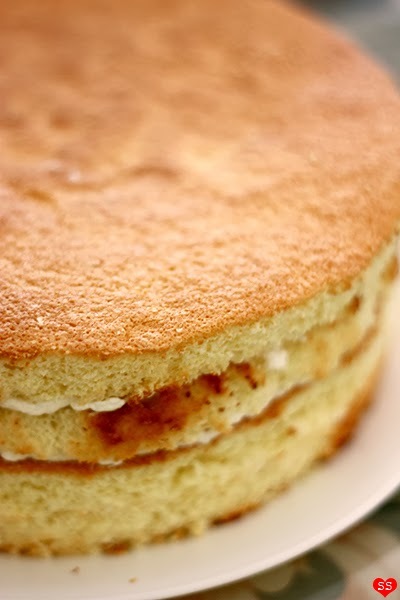 Repeat with the other cake layers until you have the four cake layers sandwiched together with whipping cream. 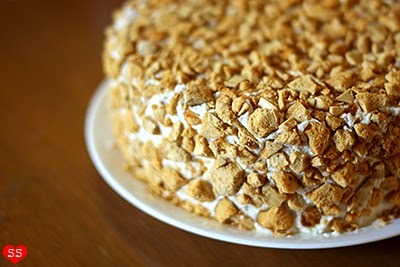 Cover the cake with the rest of the whipping cream. 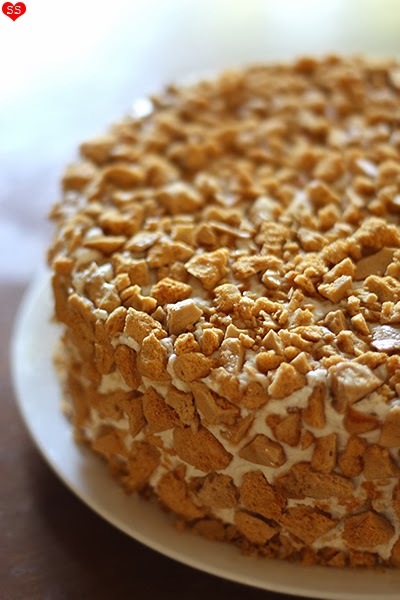 Press the small pieces of coffee crunch into the sides of the cake. 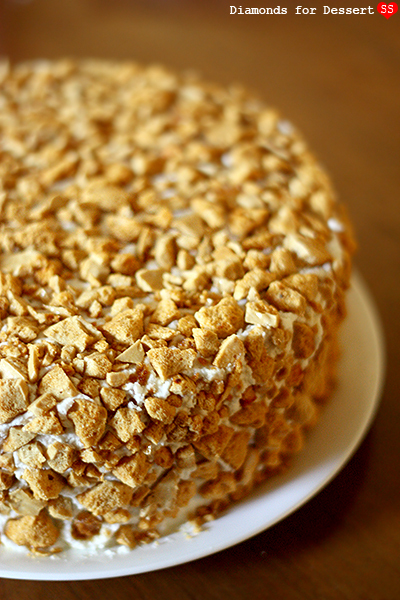 Spread more coffee crunch to cover the top of the cake. 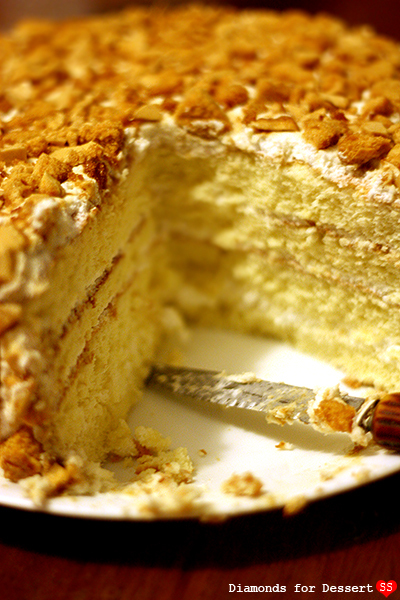 Place in the refrigerator for 1-2 hours so the coffee crunch and whipping cream can meld. Now it's ready to serve. Enjoy! LOVE the coffee crunch! I bet this tasted amazing!! Wow this sounds incredible! Love the idea of making coffee crunch. Yum! I think it looks great, with "the Thing" reference and all. I tried to make the coffee crunch (6times) and it just wont work what am I doing wrong it turns sticky and not very crunchy. Please help want to make this work???? Keep crunch bits away from air moisture/high humidity, like during rain or fog or dampness inside. Keep bits in air-tight bag until needed. Serve cake within time limit. More time in the frig means bits absorb more moisture from frig air. Invest in a good candy thermometer for making the candy. DONT ADD THE BAKING SODA UNTIL THE TEMPERTURE IS CORRECT! I learned the hard way! Be patient!!! The rest is easy. It's really worth the work. SPECTACULAR!